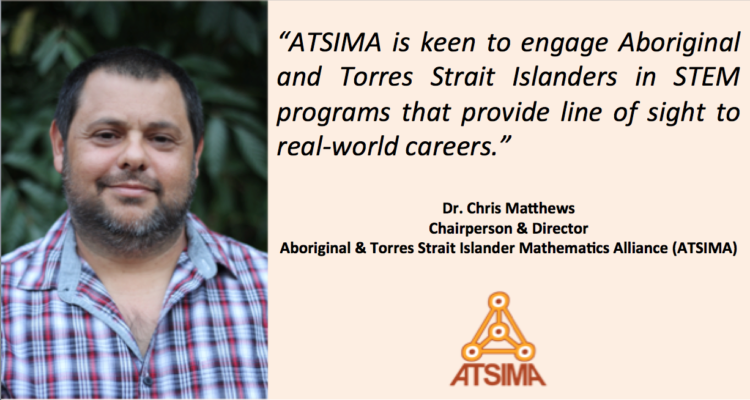 The Aboriginal & Torres Strait Islander Mathematics Alliance (ATSIMA) has joined the Day of STEM as a strategic partner. ATSIMA is a non-profit member based group that works directly with Aboriginal and Torres Strait Islander communities, education and business sectors across Australia. ATSIMA aims to inspire, promote and support improved mathematics outcomes of Aboriginal and Torres Strait Islander students.